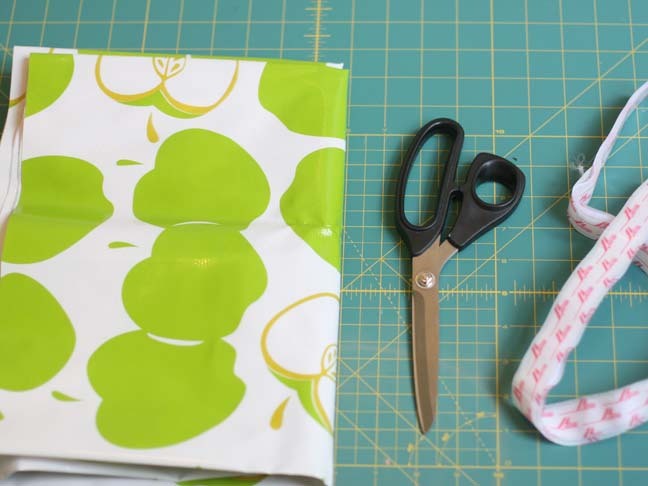 Since I made a few of these DIY reusable sandwich bags made from oilcloth we go through fewer plastic sandwich bags every week. 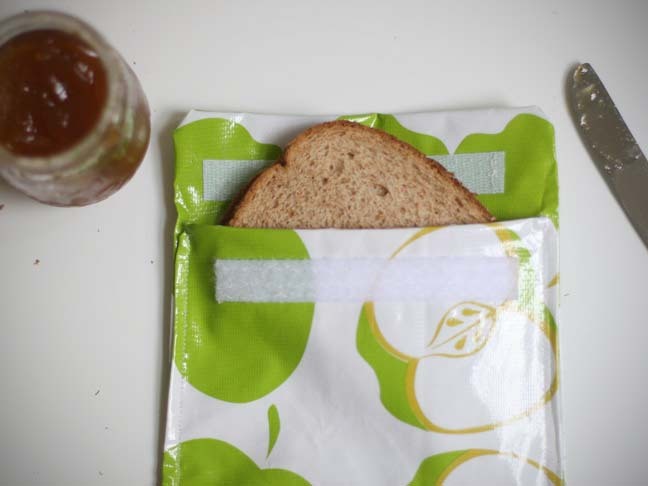 I’ve made a few different patterns and my son loves opening up his lunch every day to see what sandwich I packed him. 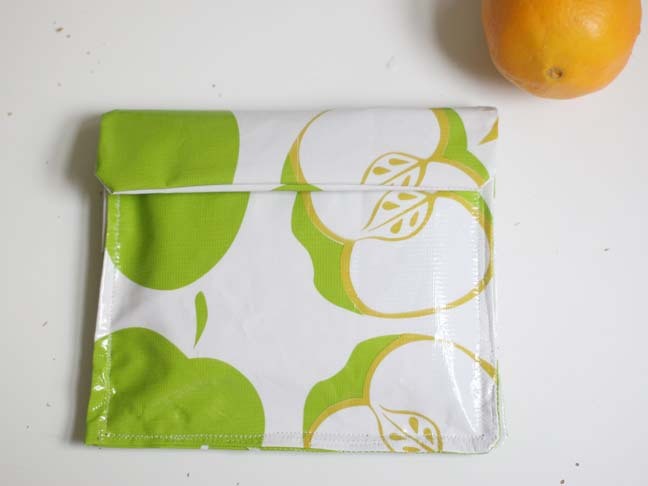 The oilcloth is water resistant, super easy to clean (just throw it in the dishwasher), and very sturdy. 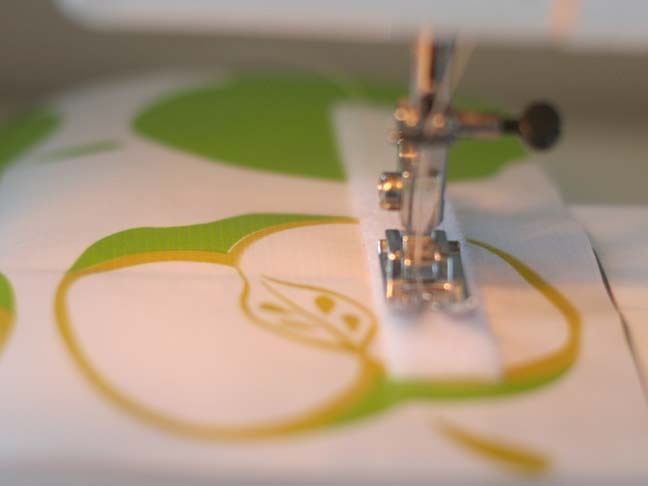 Plus, it’s easy to sew with, even if you’re a beginner. They carry it at most fabric stores. 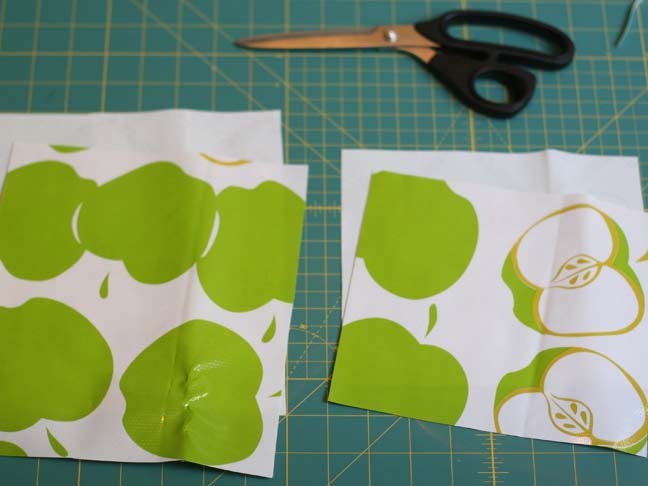 Step 1: Cut four pieces of oilcloth: two pieces of 8” x 7” and two pieces of 8” x 9”. 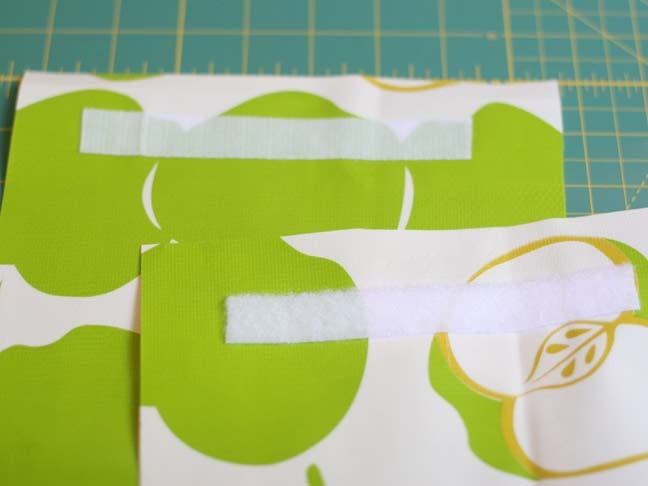 Step 2: Cut a piece of Velcro about five inches long. Stick one side to one of the large pieces and the other to one of the small pieces. Align both about 1½ inches from the top. Step 3: Sew them into place. I used three rows of zigzag stitches on each Velcro piece. 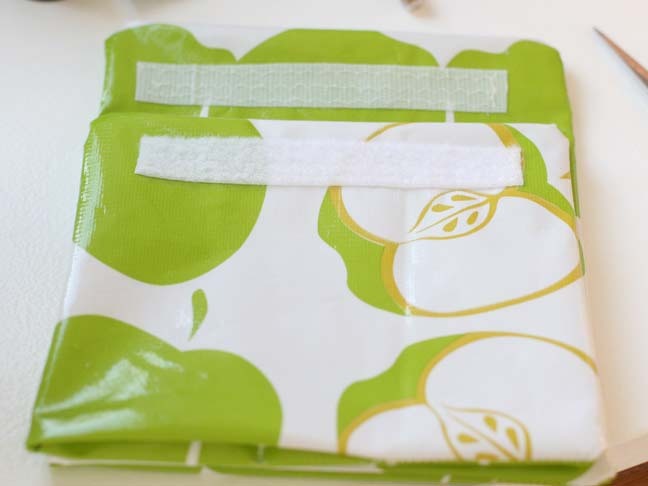 Step 4: Now take both of the larger pieces and pin them right side together, and then sew them together, leaving one side open to flip right side out. Do the same with the two smaller pieces. Step 5: Snip off the excess with pinking shears before flipping them right side out. 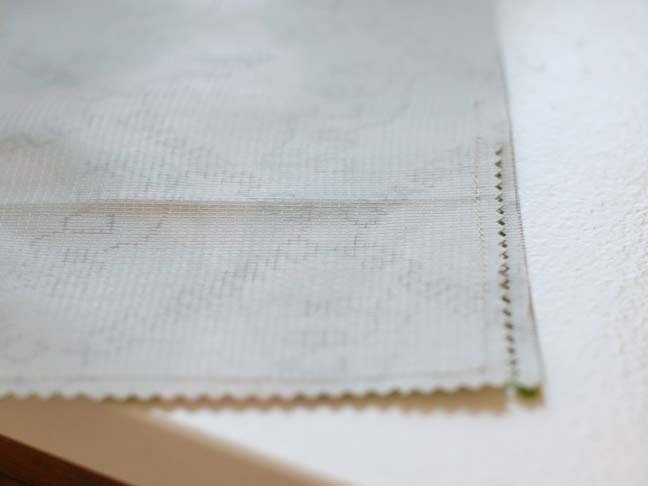 Step 6: After flipping the pieces to the right side, align them on top of each other as shown and sew around the edges. 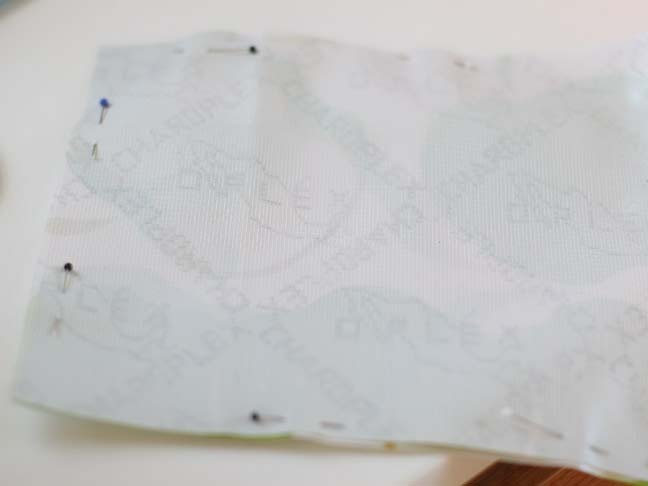 Step 7: The Velcro should align when the top is folded down.